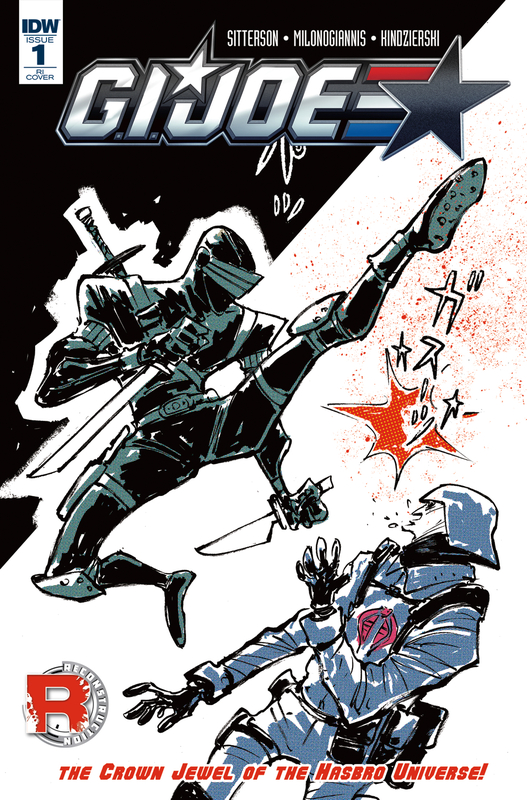 I became aware of Aubrey Sitterson, after last year’s IDW comics Revolution storyline. 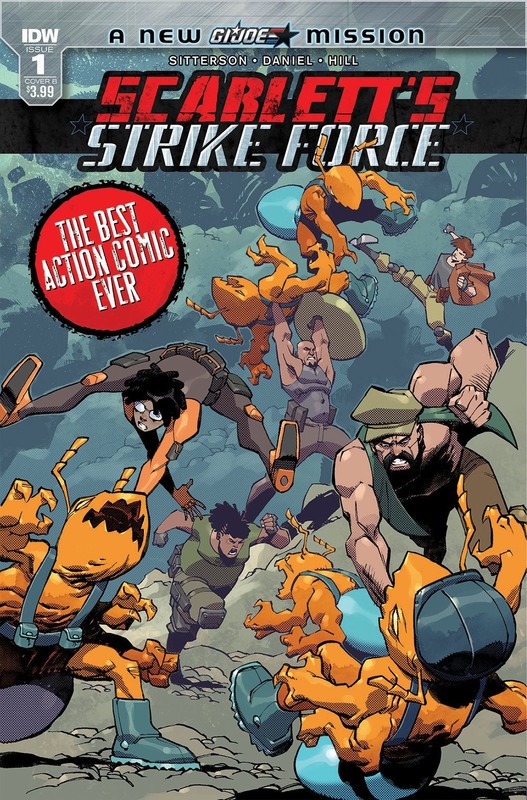 A storyline which linked a number of Hasbro comic properties together. Properties like Transformers, Action Man, M.A.S.K., ROM, Micronauts, and G.I. JOE. When myself and others in the Transformers community heard about this storyline coming down the pipe we didn’t want it. It’s a cool idea, sure. A bunch of Hasbro properties living in the same universe. I like the idea of Transformers working alongside G.I. Joe, MASK, Micronauts, Action Man and so on. What I and many others didn’t like was the way Hasbro and IDW went about doing it. 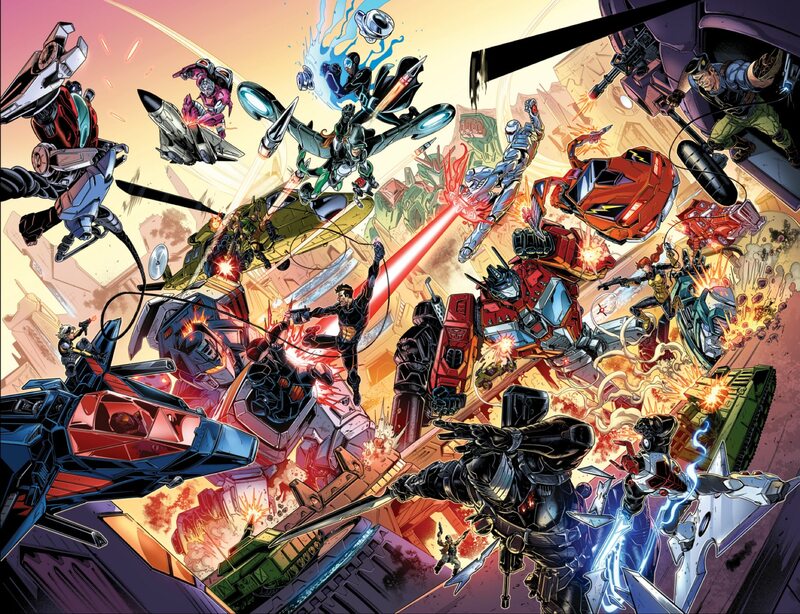 The biggest reason is that the Transformers comics and their current storylines would be cut short, terminated, or put on hold until this Revolution crossovers storyline completed. From this event, each Hasbro property came away with their own brand new comic book run. The idea is that all these properties starting at issue one would give many new readers a new jumping on point. A simple enough idea and although it was by no means ideal for Transformers fans, I still went into it with the hope that once the Revolution storyline was completed we, the comic book fans, would have a starting place into more comics like G.I. Joe, Action Man, ROM and the others. 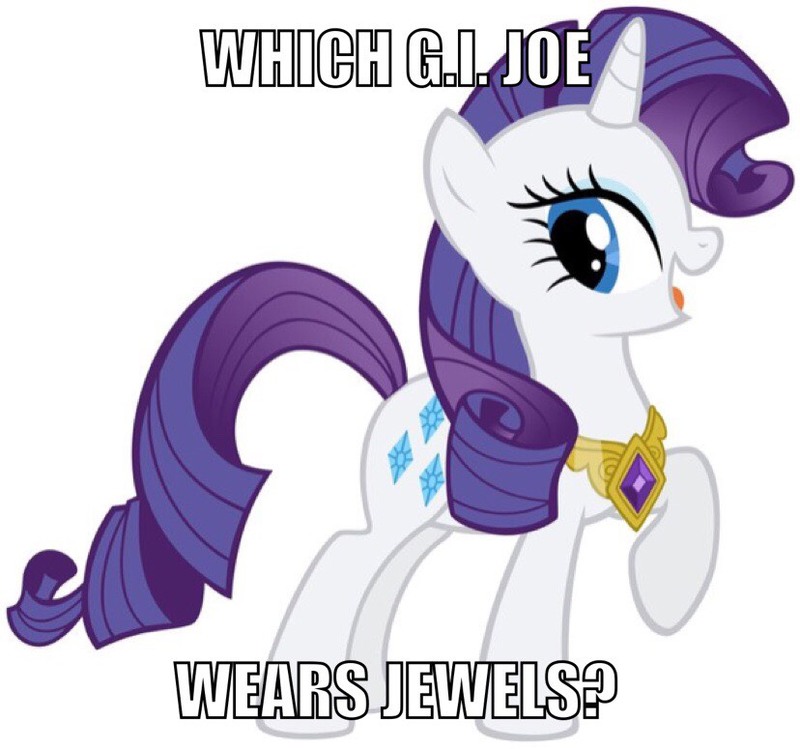 The Crown Jewel of the Hasbro universe, G.I. Joe is not. Neither is Action Man, or Micronauts, or ROM, or M.A.S.K., or Transformers for that matter. No, that honor probably goes to My Little Pony. Sales numbers for issue 1 of Aubrey Sitterson’s G.I. Joe was at 12,968 physical copies. Compare that to Transformers: Optimus Prime number 1 with 14,332 physical copies sold. My reaction to this G.I. Joe tagline was over the top frustration. Hasbro could not be this dumb. IDW Publishing could not be this clueless. Sales numbers alone indicate that G.I. Joe is practically the furthest thing from being the Crown Jewel of…. well, of anything. Needless to say, this pushed me away from any of the comic book reboots IDW put out after the Revolution crossover storyline. Watching Aubrey Sitterson twitter feed at the time was a very eye-opening experience for me. Twitter users were calling him out on the “Crown Jewel” tagline. His response to these users was often insulting. That’s when it really clicked for me. Aubrey Sitterson is simply an internet troll who got a job writing comic books for IDW Publishing. He tries to leverage his troll behavior to help sell the comic books he writes. IDW, being a comic book publisher, doesn’t seem to care about Sitterson’s online behavior so long as they make money off what he writes. So., at the end of the day IDW doesn’t care about the feelings of fans. They care about the bottom dollar. Which is pretty ironic when you think about all the comics they publish about good guys, heroes overcoming bad guys. Knowing IS half the battle, I guess. When asked to provide proof or to simply justify his calling G.I. JOE the crown jewel of the Hasbro universe, Mrs. Mr. Sitterson replied with insults or vagaries. Are you guys seeing a pattern here? Nothing fuels me more than Transformers fans salty about G.I. 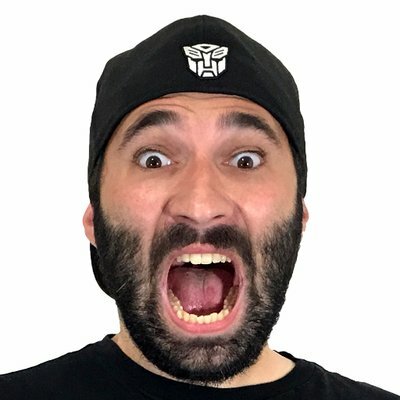 Joe being The Crown Jewel of the Hasbro Universe. Sorry boys, facts is facts. Oh good, it's Self-Centered National Tragedy Remembrance from People Who Weren't Even Anywhere Near New York City Day. To me (and many, many others) this is unacceptable. Aubrey Sitterson is entitled to free speech. I’ll fight for his right to do so. But he is not free from consequences. Or is he? It took 24 hours after the posting of the above tweet before anyone did anything. And who was the first to act? It was one Terry Dizard from a G.I. Joe fansite, YoJoe.com. Terry stated that there would be no more coverage of any IDW products on the website until Sitterson was removed from all Hasbro licensed books. The Bleeding Cool website picked up the story on the 13th and acquired a statement from IDW Publishing. Aubrey was living in New York on September 11, 2001 and like many New Yorkers who saw their city attacked and who breathed in the dust of the wreckage and the dying, he at times finds it hard to take when people who didn’t have that direct connection, that direct suffering, make statements that imply their suffering was as bad. Yes, the entire country was attacked but we do see how people who were so directly impacted as New Yorkers can take exception to people who want to likewise connect to the event in the same way. The connection for everyone is there—like I say, everyone was attacked on that day—but it obviously hit New York and New Yorkers more directly. That’s his whole point, not to slight anyone. It is a thing you see on social media when any notably sad event happens or hits an anniversary: people who can’t just mourn a celebrity but who have to make it seem like they were personally connected and so their suffering matters more. I believe that was Aubrey’s whole point. I’m not saying I agree with his approach but I also didn’t live in NY and so can’t put myself in this shoes in that regard. The attack remains a raw, open wound for everyone and everyone deals with it best they can on an ongoing basis. Aubrey as a New Yorker and as someone who feels everything very deeply clearly struggles with the events of that day and other people’s’ approach to it as do most all of us. Sorry you found what he said offensive but we’ve talked to him in person about that day and know that he didn’t mean it to sound the way some have taken it. Later that same day we get a tweet from IDW Publishing. One with a harsher tone. Mr. Sitterson’s twitter feed is filled with comments from supporters and opponents. Many vowing to boycott everything from IDW until Aubrey Sitterson is removed and many promising to double down and buy more IDW Products while Sitterson remains a writer for the small Publisher. I’ve been asked a lot since this story broke why IDW Publishing hasn’t actually done anything about Aubrey yet. I can only speculate. At first, I thought IDW and Hasbro didn’t want to look like they were violating anyone’s free speech rights. It’s possible that between IDW and Hasbro, terminating an employee under these circumstances is like turning a cargo tanker around. It’s a process that just requires a lot of time. It’s also possible that IDW is just going to let Sitterson’s current contract run out and not renew it. Whatever happens, IDW is not a transparent company and because of that, it’s hard to know what they are doing at any given time. At the end of the day, IDW may still part ways with Sitterson. I’ve learned that the comic book industry moves at a snail’s pace and these kinds of changes take forever to occur. Still, I’m disheartened that IDW has not said or done anything else about the matter. Sitterson has single-handedly damaged Hasbro, IDW Publishing, and the G.I. JOE brands. A fact that will follow him around for the rest of his career. Mate, I think you need to calm down on this stuff. He comes up with hype-y taglines. Deadpool bills itself as “the world’s greatest comic magazine”, admittedly out-and-out ridiculous – but it’s the same thing. 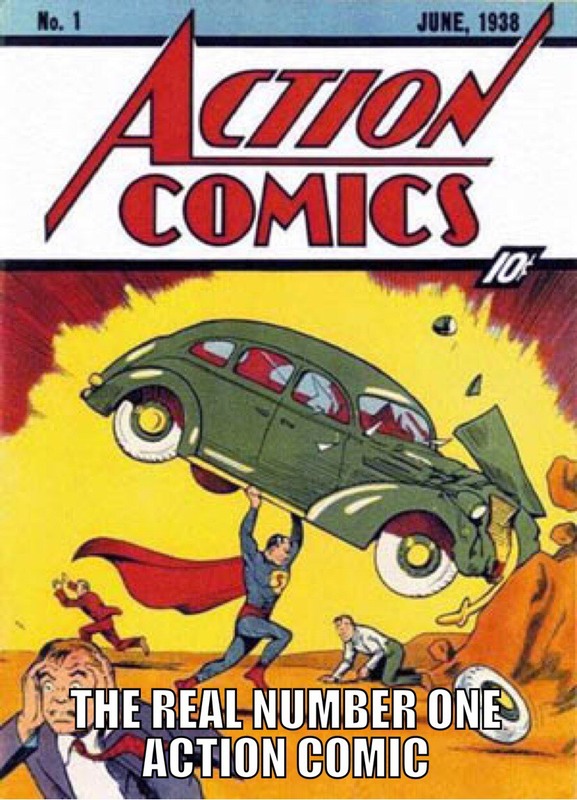 Putting “the best Action comic ever” on cover doesn’t even warrant a response. As for the “crown jewel” nonsense, GI Joe is the oldest property Hasbro owns. Is it the best? I wouldn’t say so, but it has name recognition – My feelings on American cultural imperialism and the glorification of war & the military aside. To be honest, I get his point about 9/11 – he probably shouldn’t have voiced his opinion (inarticulatly) in such a public forum, though. Should he get fired? I don’t think so, but that’s just me. If he’s such a troll, than you’d be happier if you just ignored him.